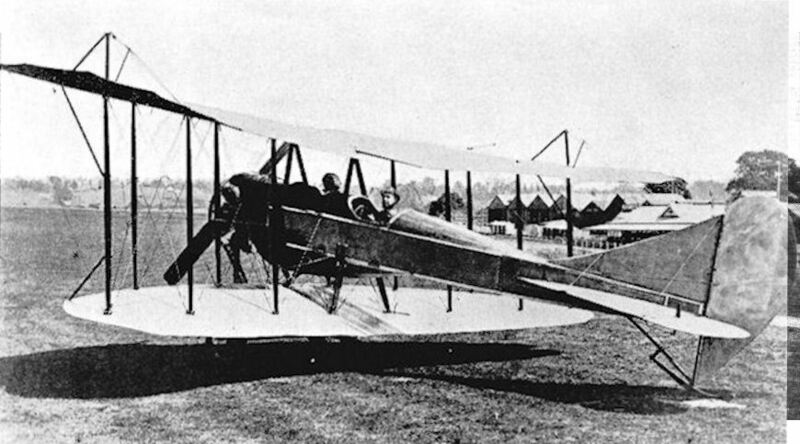 The second Handley Page biplane resulted from the War Office ban on monoplanes being flown by the Royal Flying Corps, after a spate of accidents in the late summer and autumn of 1912; in consequence the only War Office contracts offered to British manufacturers were for B.E.2a biplanes designed at Farnborough and Handley Page had moved from Barking to Cricklewood in expectation of a substantial share in this programme. He was disappointed to find that only five B.E.2as were required in his first order and exasperated when he tried to buy the small quantities of special high tensile steel required by the Royal Aircraft Factory specification; the large armament and shipbuilding firms like Armstrong Whitworth and Vickers already held ample stocks, but Handley Page resented being charged high prices for small offcuts and refused to accept any further B.E.2a orders unless much larger contracts were offered. 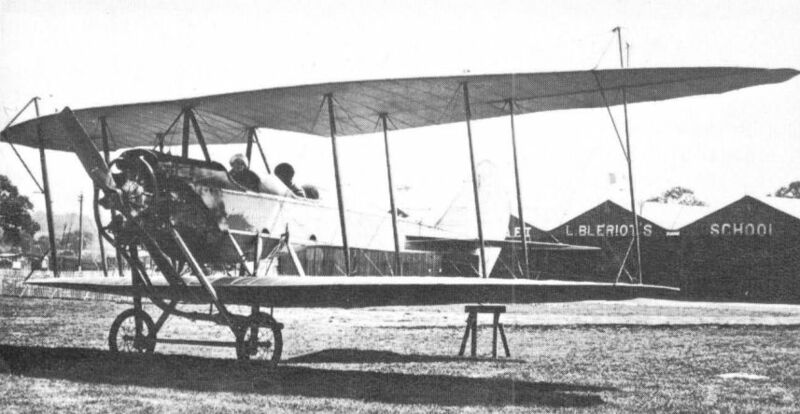 Two of the five B.E.2as were delivered after some weeks’ delay in making good the critical shortages and meanwhile Handley Page had engaged George Volkert as chief designer and instructed him to develop a biplane as good as the B.E.2a, but using the materials already at hand and the experience gained with the Type E and F monoplanes; the third B.E.2a was not completed till 1914 and the other two were cancelled. While the new biplane, Type G, was under construction in 1913, the design was shown to a pupil of the Beatty School at Hendon, Rowland Ding, who, with Lindsay Bainbridge and others, had taken over the Lakes Flying Co from Captain Wakefield at Bowness-on-Windermere and restyled it the Northern Aircraft Co; they were expanding their seaplane school and Ding offered to buy Type G on completion provided it could be equipped with floats. Accordingly it was given a twin-skid chassis, but Handley Page persuaded Ding that as a landplane it would be excellently suitable for exhibition flying from public open spaces, where crowds of spectators could be equally dangerous to the aircraft and themselves. Originally intended to have a Green engine of 100 hp. Type G needed only a very short take-off and landing distance, with steep initial climb and approach. It was derived mainly from Type E, having a closely similar fuselage and tail unit; the upper wing was almost the same as Type E’s in its final state with ailerons, while the lower wing was similar to Type F’s wing, but with a smaller aspect ratio. The upper wing was made in two halves butted together at the centre line, while the lower wing was in one piece from tip to tip; the wings were staggered, with spruce interplane struts arranged in 3-bay formation, with the fuselage mounted at mid-gap. 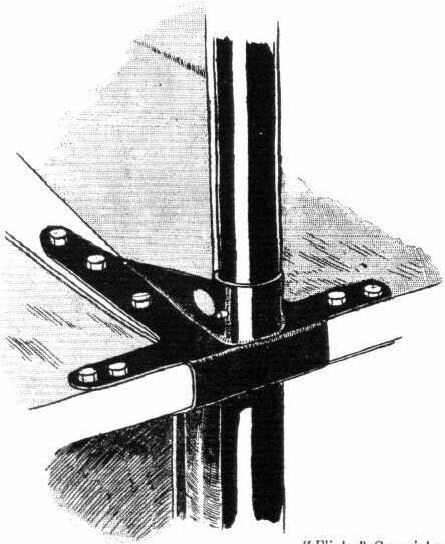 Only a single strut could be accommodated at the outboard position because of the taper, and to prevent wing-tip torsion the leading edges were braced to this strut by steel tubes. The twin-skid chassis was robust and carried a straight rubber-sprung cross-axle with two Palmer wheels. The engine actually installed was a 100 hp Anzani ten-cylinder air-cooled radial of less weight than the Green, driving a two-blade Chauviere airscrew with brass-sheathed tips; petrol and oil for 4 hours were carried in tanks on the decking forward of the front cockpit, which was roomy enough for two passengers on a short joy-ride. As in the B.E.2a, the pilot occupied the rear cockpit, where he had the usual controls, the aileron handwheel being mounted on an arched frame hinged from the lower longerons, instead of a central column; at first there was no decking between the cockpits. 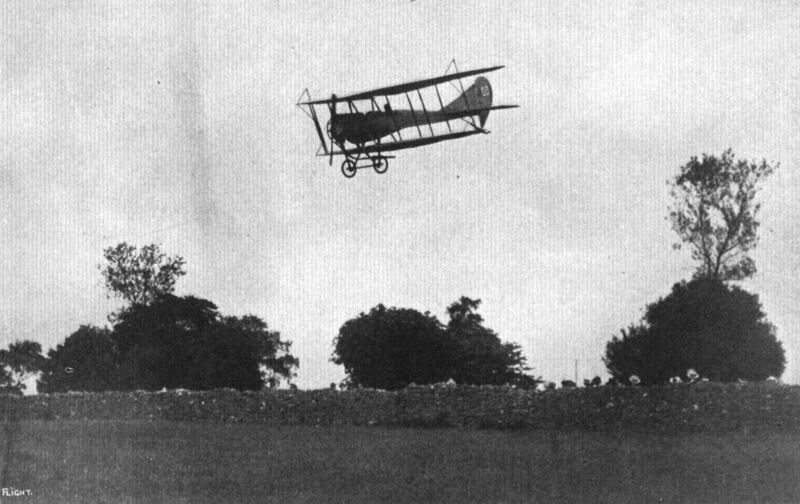 In this form it was first flown by Ronald Whitehouse just before dusk on Thursday 6 November, 1913; he began with several slow short straights, then made a circuit and finally invited Cyril Meredith (now Handley Page’s manager in succession to Hardwick) into the front seat for a trip. A further flight was made on Sunday the 9th, when Whitehouse recorded one of the first bird-strikes by decapitating a partridge, which was later retrieved and enjoyed for supper, the metal-clad airscrew being undamaged. By the 26th, he had progressed to flying for over an hour at 3,000 ft, where the motion was so steady that Ding, in the front cockpit, wrote a long letter without difficulty; later the same day he took up Meredith again, and Lindsay Bainbridge, the nominal owner-to-be. Final acceptance tests were made on 12 December, when Whitehouse climbed with two passengers to 3,000 ft at 300 ft/min and cruised at that height for 20 minutes; next, with one passenger and full load, he was timed over a measured course at 70 mph maximum and 35 mph minimum, and the same afternoon he flew across country to Farnborough for official performance measurements. He returned on the 14th via Oxford and Prince’s Risborough, narrowly avoiding the cords of two advertising kites as he came in to land over Colindale Avenue. 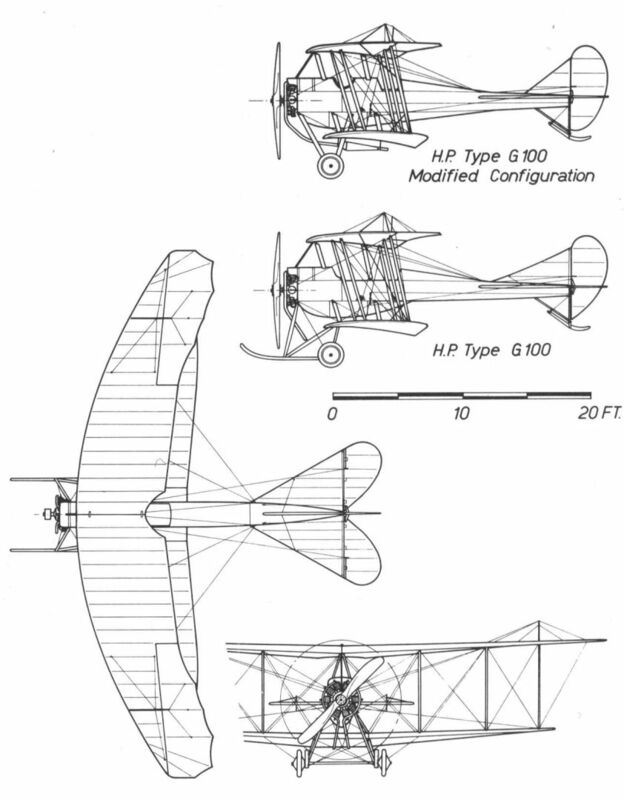 The only modification suggested by the Royal Aircraft Factory was a small increase in tailplane area, and Handley Page’s predictably perverse reaction was to instruct Whitehouse to fly the biplane with tailplane and fin removed altogether, to show that the crescent wing with reflexed trailing edge made fixed tail surfaces unnecessary for stability. During February and March various improvements were incorporated, including increased tailplane and reduced fin area; decking was added between the cockpits, and the outer leading edge bracing tubes, which vibrated in flight, were shortened to form braces at the top and bottom of the outer struts; a Garuda airscrew replaced the original heavy Chauviere since the metal sheathing was only necessary on a seaplane. Whitehouse flew Type G to check these modifications at Hendon on 23 April and again with Ding as passenger two days later; then Ding (who had gained Royal Aero Club certificate No.774 two days previously) took formal delivery on the 29th and flew across country to Ealing and back. Repeating this trip on 2 May, he landed heavily and broke the twin-skid landing gear, which was remade as a simpler V-type, a silencer being fitted to the somewhat noisy twin exhausts at the same time. These repairs were finished on 17 May and on the 21st Ding was asked to fly Princess Ludwig of Lowenstein-Wertheim (formerly Lady Ann Savile, a well-known society sportswoman) from Hendon to Paris; they ran into fog which grounded them, off course, at Eastbourne for six hours; taking off again when it cleared, they reached Dover just after 4 p.m. and Calais 15 minutes later; there the Princess decided to continue to Paris by train, while Ding put up in Calais for the night and flew back to Hendon in the morning. Although no time had been saved, because of the weather, the Princess was delighted with air travel and forthwith enrolled as a pupil at the Beatty School of Flying at Hendon. 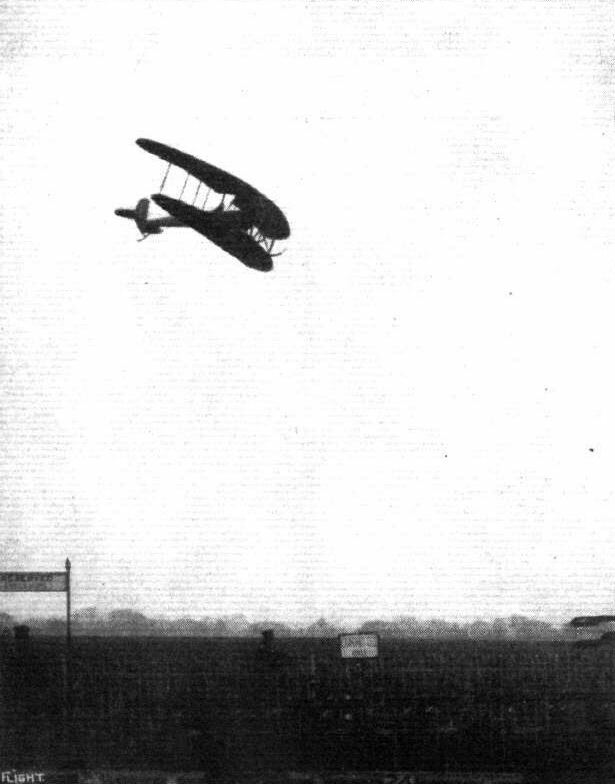 Satisfied with his new biplane, Ding began his first barnstorming tour on 26 May by flying to Lansdown racecourse at Bath to give displays during Whit-week. He should have returned to Hendon on 6 June to compete in the Aerial Derby, for which he was entered as No. 8, but trade at Lansdown was so prosperous that he stayed there and so escaped the fog which ruined the race round London, though he encountered it a few days later over the Cotswolds on his way north to Yorkshire, where his next engagements were booked. Flying almost blind on a compass course, with one cylinder misfiring, he groped his way at a steady 35 mph until further progress was impossible; then he ‘felt’ his way down into a barley field near Stroud without damage. When the mist cleared, he found he had settled on the only level open space in several miles of thick woodland and steep grassy slopes. During June and July he toured Yorkshire, giving displays at fairs and garden fetes and taking his wife and six-year-old daughter as passengers from point to point; in the two months after leaving Hendon he flew 10,000 miles and took up 200 passengers, 78 of them at Harrogate, where he operated from The Stray with spectators thronging round the machine in large numbers. On 21 July he moved on to Gosforth Park, Newcastle-upon-Tyne, staying there nearly a week; on the 27th he started his return southwards too late to reach Northallerton, his intended goal, so he had to land in darkness at Willington, Co Durham, completing the stage next morning. He always made full use of the biplane’s short take-off and landing capabilities, but in the Northallerton carnival on 29 July his chassis hit an obstruction while landing with a passenger; no one was hurt, but the machine nosed over and had to go back by rail to Hendon for repairs. While these were in progress, war began with Germany, and Hendon aerodrome was commandeered for the Royal Naval Air Service; Type G was requisitioned and emerged resplendent in clear-doped linen, with a Union Jack and serial number 892 painted on each side of the rudder, to be pressed into service as a trainer, but its resemblance to the much publicised Etrich Taube frequently drew the fire of trigger-happy Territorials; because of this hazard it was further marked with red circles on the wings, which became the standard marking for RNAS aircraft for a few months, till superseded by the well-known tri-colour roundels and rudder stripes. It was flown regularly from November onwards by F. Warren Merriam, who was chief instructor of the RNAS flying school at Hendon. During its rebuilding, it had been given a longer belly fairing, which much improved its appearance and performance, but on 2 January, 1915, the engine failed and in the ensuing forced landing it collided with a parked Avro, breaking several wing struts. Repaired once more, it was flown by Merriam early in May and remained in use at Hendon for both training and anti-Zeppelin patrol; for the latter warlike purpose the pilot was issued with a Service revolver, but never had occasion to use it. In June it accompanied the RNAS school to its new base at Chingford, but soon after arrival 892 crashed again, and was finally written off in August. 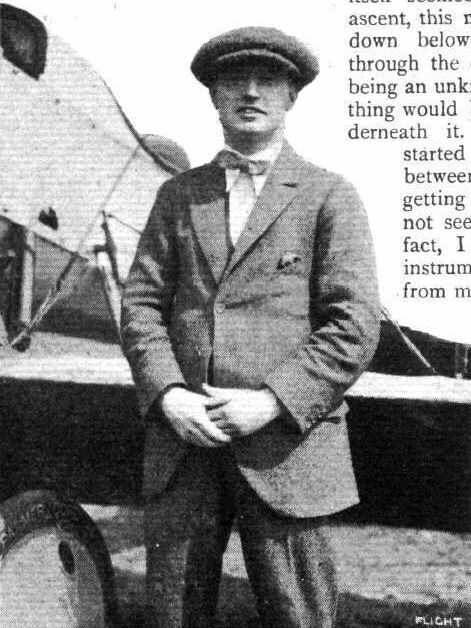 By then, its legal owner Lindsay Bainbridge had been killed and it is believed that Rowland Ding, to whom he bequeathed it, was allowed to reclaim the Anzani engine for use in the Blackburn Land/Sea monoplane, which he began flying at Bowness-on-Windermere in October. From Type G was derived the third Handley Page biplane, designated K/35, a small single-seater, with a 35 hp Y-type Anzani engine. Intended for solo pupils of the Beatty and similar schools, it was designed by Volkert in December 1913. Initially all the wing and tail surfaces followed the planforms of Type G closely, from which it was scaled down by a factor of 3/4, resulting in an upper wing span of 30 ft and total wing area of 225 sq ft. 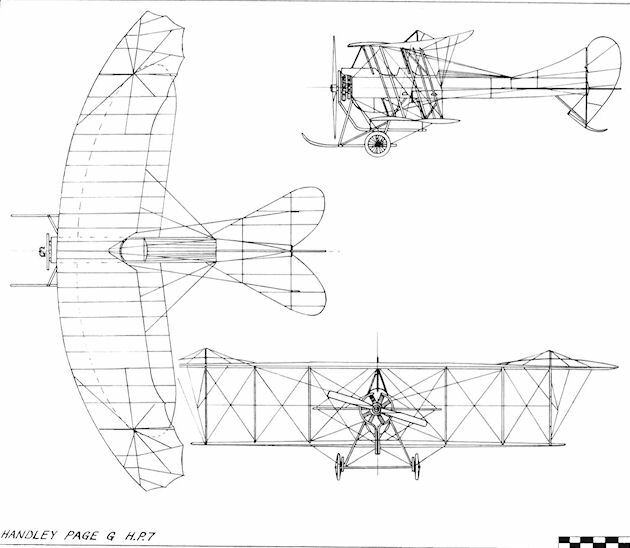 In January 1914 the tail unit was redesigned on the lines of the B.E.2a and the landing gear was also revised, but construction of Type K was postponed to allow Type G to be developed and repaired, and finally discarded in favour of the fourth Handley Page biplane design, L/200, a much more ambitious project intended to compete for the Daily Mail's ?10,000 prize for the first direct nonstop flight across the Atlantic. This machine was built during the summer of 1914 to the order of Princess Ludwig of Lowenstein-Wertheim, who proposed to accompany Rowland Ding as co-pilot on the flight. It seems to have been derived directly from K/35 by doubling its linear dimensions to give a span of 60 ft and wing area of 900 sq ft; its well-streamlined fuselage contained tanks for 350 gallons of petrol, with 35 gallons of oil and equivalent water, and the crew occupied side-by-side seats with dual controls in an enclosed cabin, which contained a third seat as a rest station. The chosen engine was a 200 hp Canton-Unne water-cooled radial built by Salmson, but this had not been delivered before war broke out; when it did arrive from France, it was promptly requisitioned by the Admiralty and so the L/200, though virtually complete, remained unassembled and was never flown. Handley Page offered it to the Admiralty as a potential coastal patrol aeroplane or seaplane, in which two extra seats could be accommodated by reducing the fuel capacity to 120 gallons. L/200 was estimated to be able to fly at 80 mph for 23 hours and to have a minimum safe speed of 43 mph; it was priced at ?2,750. On 10 August, 1914, when it was known that all 200 hp engines had been commandeered by the Admiralty, Handley Page offered to install two 100 hp engines in the wings; then he tendered on 24 August, a version with two similar engines in the nose, at ?2,300 on wheels or ?2,750 on floats. Type M/200 and its seaplane variant MS/200 were staggered biplanes with straight wings of 70 ft span and two water-cooled 95 hp Salmson radial engines mounted coaxially nose to nose, with chain-drive to a wing-mounted outboard tractor airscrew on each side of the fuselage. No drawings or photographs of the L/200 have survived, as they were searched for without success in February 1920, when they were needed as evidence in support of Handley Page’s claim for compensation before the Royal Commission on Awards to Inventors in respect of Crown user of the Handley Page O and V type aeroplanes. The M/200 and MS/200 drawings only came to light in recent years when the archives relating to this claim were searched. Type N/80 was a proposed side-by-side scout biplane derived from K/35, having the same crescent wings with a parallel centre section inserted; it was intended to have an 80 hp Gnome engine but the design was abandoned incomplete in January 1915. 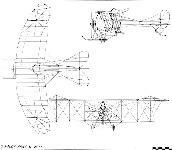 On 3 September, 1914, Captain Murray Sueter had written to Handley Page ‘It is not proposed to order any seaplanes of the designs in question [L & M] at present’, and he declined on 1 February, 1915, to change this view, even though Handley Page offered to assemble the L/200 immediately with straight wings. Span 40 ft (12-2 m); length 27 ft (8-23 m) with skids, later 25 ft 1 in (7-65 m); wing area 384 sq ft (36 m2). Empty weight 1,150 lb (521 kg); loaded weight 1,775 lb (805 kg). Speed (max) 73 mph (117 km/h), (min) 35 mph (56 km/h); climb to 3,000 ft (915 m) in 10-5 min; endurance 4 hr. Pilot and one or two passengers. Span 30 ft (915 m); length 20 ft 6 in (6-25 m); wing area 225 sq ft (20-9 m2). Empty weight (est) 500 lb (225-5 kg); loaded weight (est) 680 lb (308 kg). Speed (est) 65 mph (104 km/h). Pilot alone. Span 60 ft (18-3 m); length 41 ft (12-5 m); wing area 900 sq ft (83-6 m2). Empty weight (est) 2,800 lb (1,270 kg); loaded weight (est) 6,000 lb (2,720 kg). Speed (est cruise) 80 mph (128 km/h), (est min) 43 mph (69 km/h); endurance (est) 23 hr at 80 mph. Two pilots with dual controls. Span 70 ft (21-38 m); length 37 ft 6 in (11-45 m); wing area 950 sq ft (88-3 m2). Empty weight (est) 3,000 lb (1,360 kg); loaded weight (est) 5,0001b (2,270 kg). Speed (est) 75 mph (120 km/h). Crew four. Span 32 ft 6 in (9-9 m); length 24 ft (7-32 m). Pilot and observer side by side. The second biplane made by Handley Page was also of his own design, and was inspired by the monoplane ban, and a desire to improve on the BE.2, a small contract for which was in hand at Cricklewood, where the Type G was also constructed. Piloted by E.R. Whitehouse, it flew for the first time on 6 November 1913 at Hendon and, after company trials, was purchased by the new owner of the Lakes Flying Co., Lindsay Bainbridge, to be flown by Rowland Ding, also a director of that company. It was intended to convert the machine later to a twin-float seaplane, but it was flown on tour as a land-plane after being taken over by Ding in May, until a mishap on 27 July 1914, when it was damaged and returned to the factory by rail. The repair was completed after the declaration of war. The machine was then taken over by the RNAS and continued to fly at Hendon and Chingford as No.892, until it was crashed in August 1914, the engine being bequeathed to Ding by Bainbridge, who was now deceased. The Type G had a fuselage and tail unit similar to those of the Type E monoplane, with the pilot in the rear seat and room for one or two passengers in front. The engine was covered by a cowl at the top and had a continuous exhaust ring in front, exhausting through outlets below the bottom wing, to which a silencer was fitted later. 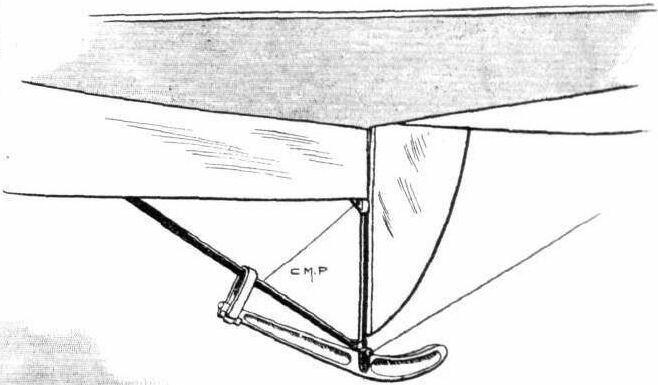 The top wing derived from the Type E, and the lower wing was a smaller version of that of the Type F. The wings had three bays, the outer bay having a single strut only at the rear spar, with short struts connected to both top and bottom leading edges. The fuselage was mounted above the lower wing, to which it was attached by pairs of struts on either side. With the first type of undercarriage, which was of twin skid type, long struts were connected to the lower longerons just behind the engine. After the crash on 2 May 1914 a modified undercarriage with vee struts connected to the lower longerons was fitted, together with a smaller fin and the silencer. During its time with the RNAS the fuselage under-fairing was extended aft. Power: 100hp Anzani ten-cylinder air-cooled radial driving a 8ft 6in diameter Integral propeller. The 100hp Green originally planned was not fitted. HANDLEY PAGE biplane Type K/35. 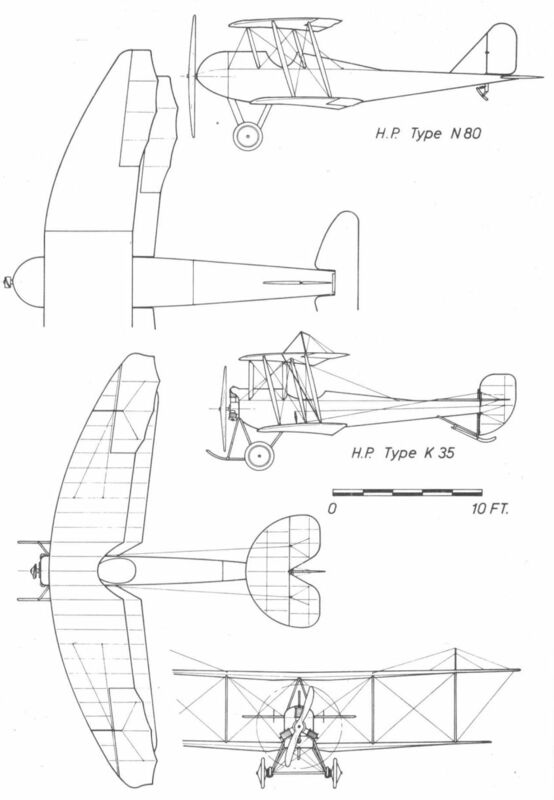 A proposal for a single-seat, scaled down version of the Type G for training purposes was drawn by Volkert in December 1913; intended for use by the Beatty School at Hendon, it was not built. 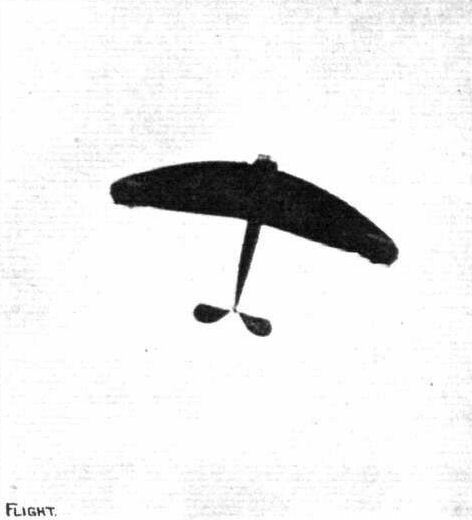 An alternative Type K was described in the Handley Page Catalogue of 1913. This specified a two-seater with 80hp Gnome. This type apparently remained on paper only. This large single-engined, tractor biplane was designed by Volkert in December 1913 to compete for the Daily Mail Prize of ?10,000 for an Atlantic crossing. It was ordered by Princess Ludwig of Lowenstein-Wertheim, who planned to accompany Rowland Ding on the flight, and it was nearing completion in the summer of 1914. The seats were side-by-side with dual controls. The machine was apparently a scaled-up version of the Type K/35 and was abandoned, although offered to the RNAS with straight wings. Power: 200hp Salmson (Canton-Unne) fourteen-cylinder water-cooled radial. In August 1914 when the 200hp engine for the L/200 was taken over by the Admiralty, a version was offered with two 100hp engines in the wings and then the M/200 with engines, mounted nose to nose in the fuselage, driving tractor propellers on the wings by chain. Both versions were rejected, as was the seaplane version MS/200, with twin main and tail floats. A crew of four was to be carried. Power: Two 95hp Salmson (Canton-Unne) seven-cylinder water-cooled radials. A proposed scout version of the Type K/35, with a parallel center section inserted, and two seats side-by-side, the design of which was discontinued in January 1915. First flown in 1913, this biplane was unusual in having wings with curved swept-back leading edges. It was acquired by the Admiralty soon after the outbreak of war in 1914 and served with the RNAS for training and Home Defence duties at Hendon and Chingford until August 1915. It had the serial number 892. One 100 hp Anzani engine. Maximum speed, 73 mph at sea level. Span, 44 ft. Length, 25 ft 1 in. In 1913, George R. Volkert, the Handley Page designer, applied the Company's experience of the automatically stable, curved, swept-back wing to a biplane, the model G. The machine was first announced as a hydro-biplane, but appeared finally with a land undercarriage. The firm's test pilot, E. Ronald Whitehouse, took the H.P.7 into the air for the first time at Hendon early in November, 1913, and on the following 11th December he put it through the official tests at Farnborough, recording a speed range of 35 m.p.h. Stability was so outstanding that, at the end of the same month, Whitehouse demonstrated the machine at Hendon without its tailplane, flying with elevators only for longitudinal control. The fuselage was suspended between the wings by stout centre-section struts, and consisted of a slim framework of rectangular section, fitted with full-length upper coaming and with a bulged lower portion for the accommodation of the passengers. The upper portion of the ten-cylinder 100 h.p. Anzani radial engine was cowled. Ailerons were installed on the upper wings only and the overall colour was a light brown. On 21st May, 1914, Princess Ludwig of Lowenstein-Wertheim chartered the H.P.7 to fly her from Hendon to Calais in order to keep an urgent engagement in Paris. W. Rowland Ding was her pilot, and he flew the biplane back on the following day. 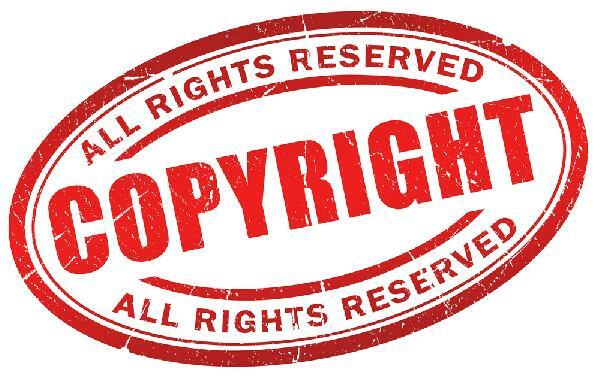 Its ability to operate successfully from small fields appealed to Lindsay Bainbridge, who bought the machine for exhibition flying by the Northern Aircraft Co., of Lake Windermere, a syndicate which he ran with Ding and other directors. During June and July, 1914, the H.P.7 was taken on a provincial tour by Ding, who crashed it at the end of the second month. In the course of reconstruction, several changes were made. The twin-skid undercarriage was altered to one with a pair of simple vee struts, the bulge below the fuselage was extended towards the rear, and the fin was reduced in area by cutting back the leading-edge. An efficient silencer was fitted to the engine also. When the 1914-18 War commenced, the H.P.7 was taken over by the Admiralty as No. 892, being used for training at Hendon and Chingford, with Home Defence as another of its duties. Lindsay Bainbridge was killed during 1915, and the machine provided one of the rare instances of an aeroplane being mentioned in a will, as he bequeathed it to Rowland Ding. The H.P.7's career came to an end in the same year after a ground accident. Manufacturers: Handley Page Ltd., 110 Cricklewood Lane, London, N.W.2. Power Plant: 100 h.p. Anzani. Dimensions: Span, 40 ft. Length, 26 ft. Wing area, 384 sq. ft. Weights: Empty, 1,130 lb. Loaded, 1,775 lb. Performance: Maximum speed, 73 m.p.h. Climb, 300 ft./min. Endurance, 4 hrs. The H.P.8 was a two-seat tractor biplane designed by George R. Volkert for an attempt on the Daily Mail prize of ?10,000 for a flight across the Atlantic to be made by Princess Ludwig of Lowenstein-Wertheim. The engine was to have been the 200 h.p. Salmson, and the aircraft was an enlarged version of the H.P.7 biplane. It was under construction during 1914, but was not completed owing to the declaration of war. THE NEW HANDLEY PAGE BIPLANE. WHEN looking back to the early days of aviation, for such has been the progress, that Bleriot's flight across the channel seems now - only four years later - a thing of the dim and distant past, one remembers a comparatively small monoplane designed and built by Mr. Handley Page. It was said to be inherently stable, and at the Aero Show at Olympia - in 1911 we think it was - there was shown a small monoplane with crescent shaped wings and streamlined fuse/age. 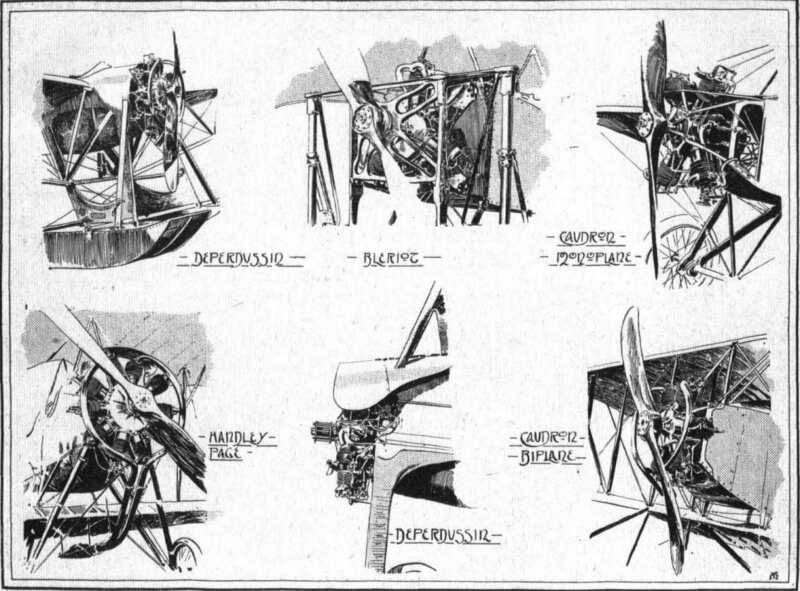 Since then the Handley Page machines have developed both in general airworthiness and in size, until it has now been found more expedient to make a biplane, as constructional difficulties naturally put a limit to the size to which it is convenient and advisable to build monoplanes. And if her first performances are to be taken as a criterion this latest product of the Handley Page firm bids fair to surpass in all-round utility the machines hitherto turned out by that firm. 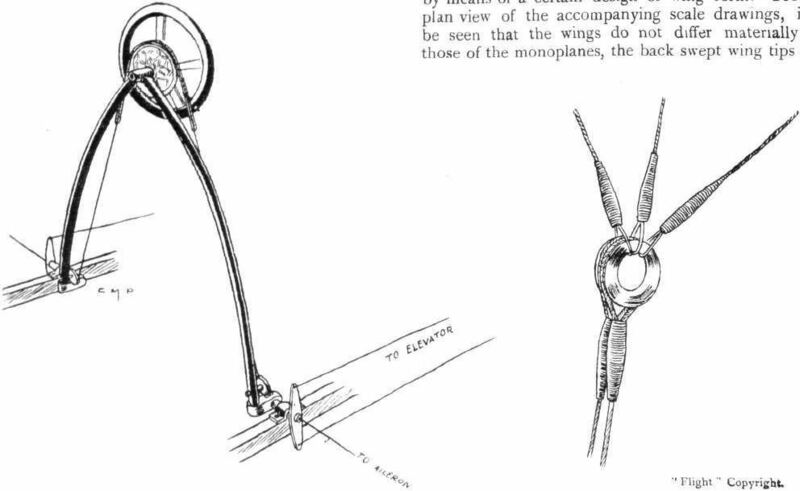 The fundamental principles underlying the design of this machine are the same as those which were the raison d'etre of the monoplanes, i.e., an attempt has been made to solve the problem of natural inherent stability by means of a certain design of wing form. From the plan view of the accompanying scale drawings, it will be seen that the wings do not differ materially from those of the monoplanes, the back swept wing tips which are set at a negative angle of incidence being practically of the same shape as the tips of the earlier machines. In section the wings differ considerably from the monoplane wings, being much thinner and having a smaller camber. It is to the curvature of the wings that the stability of the machine is due, as, according to its designer, Mr. Handley Page, the particular curve is so designed that when the machine attempts to climb too steeply, or, in other words, the angle of incidence increases, the centre of pressure moves backwards, thus bringing the machine back to its normal position. Similarly if the machine begins to dive the centre of pressure moves forward, and thereby tends to restore balance. Mr. Handley Page is of the opinion that the machine would fly without the tail planes, and only fits them as an extra precaution, and to gain greater controllability. Constructionally the wings differ considerably from what has now become more or less standard practice. There are two main spars, both of I section, the front one of which is made of spruce, whilst the material used in the rear spar is ash. In addition to these two main spars there are four subsidiary spars of the lattice-girder type, which serve to support the ribs. These latter consist of two thin strips of wood secured to the upper and lower edges of the spars respectively. These strips correspond with the flanges of the ribs in the majority of machines. No webs are employed, and the shape of each individual rib is determined by the depth of the various spars. Thus by having spars tapering towards the tip the camber is gradually decreased. In the lower plane the angle of incidence diminishes from 4° at the root to no angle of incidence at the tips. The upper plane also has a maximum angle of incidence of 40 at the root, but has a negative angle of incidence at the tips. Although the machine is claimed to be inherently stable, ailerons are fitted to the upper main plane, so that should the pilot desire to right the machine he is able to do so. This is, we think, a very good arrangement, and does not by any means indicate that the designer lacks faith in the stability of his machine, but most pilots, we feel sure, prefer a machine which it is possible to right, should need arise, by means of the usual controls, no matter how stable the machine may be. From the accompanying illustrations, it will be seen that the planes are staggered forward. The reason for this is that by staggering the planes the gap can be considerably smaller without danger of interference, or, in other words, for the same gap and chord a greater lift is obtained. Two pairs of A struts of spruce connect the main planes and the fuselage. Four more pairs of struts connect the planes in the usual way, whilst near the tip of the lower wing is a single strut running to the rear spar of the upper plane. From the joint of this single strut to the lower plane a steel tube runs up to the leading edge of the upper plane. Very stout stranded cable is used for the diagonal bracing of the wings as well as for taking the drift. Other cables run from the fuselage at a point near the beginning of the tail plane to the inter-plane struts, thus bracing the wings backwards to the fuselage. 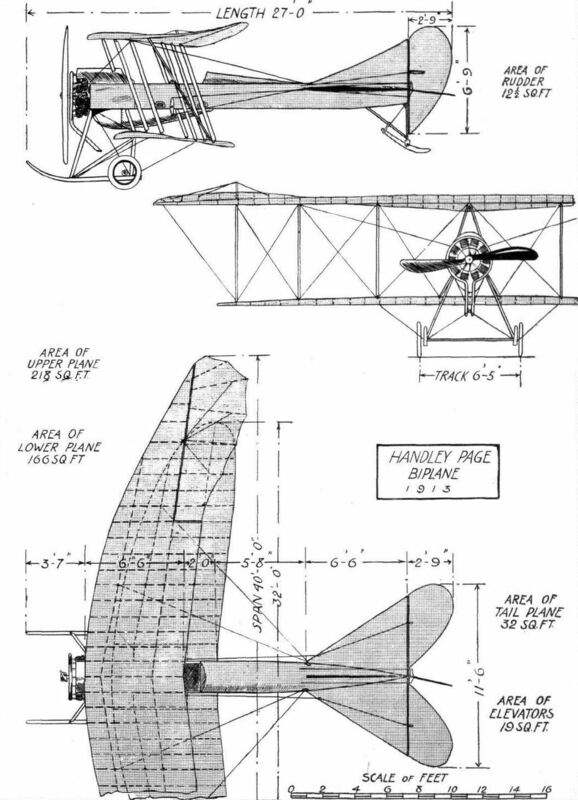 One of the accompanying illustrations is a diagrammatic sketch of the fuselage, and shows the shape of that structure. Constructionally it consists of four longerons of ash connected by struts and cross-members of spruce, the whole being made rigid by means of the usual diagonal cross bracing. To a steel capping plate bolted to the front of the four longerons is secured the engine - a 100 h.p. 10-cyl. Anzani, which drives an Integral propeller of 8 ft. 6 ins. diameter, 5 ft. 6 ins. pitch. The pilot's and passenger's seats are arranged tandem fashion, the pilot occupying the rear seat. Both seats are supported on the lower longerons, and the legs of the occupants project down into the boat-shaped structure underneath the fuselage. One of our sketches illustrates the controls, which consist of a rotatable hand wheel operating the elevator and ailerons, and a foot-bar for actuating the rudder. The tail planes, it will be noticed, are similar to those on the monoplane, and are made of ample size in order to render them more effective, situated as they are, comparatively close to the main planes. The chassis is of the wheel and skid type, with two stout ash skids supported on three pairs of struts of spruce. A single axle carrying the wheels is slung from the skids by means of rubber shock absorbers, and two radius rods from the front struts to the axle keep the latter in place. Diagonal cross wiring and cables running to the lower extremities of the two first pairs of the inter-plane struts prevent the chassis from giving laterally. A short strong ash skid protects the tail planes against contact with the ground. In front of the pilot is to be fitted a dashboard with all the usual instruments, such as aneroid, clock, compass, revolution indicator, and air-speed indicator. The tanks contain sufficient petrol and oil for a four hours' flight, and the weight of the machine with this and pilot and passenger is 1,775 lbs. The speed of the machine has not yet been ascertained, but she appears to be fairly fast, and seems to climb very well. She has been designed for exhibition work, and the conditions to be fulfilled are good climbing capacity - in order to be able to get out of small fields - and slow landing speed. The machine has been built for an exhibition company in the north of England, and as soon as she has been put through her trials by Mr. Whitehouse, she will be delivered to the purchasers. THE PILOTS AND HOW TO RECOGNISE THE MACHINES. will be one of the easiest machines to identify, owing to the peculiar shape of its wings which, as will be seen from the silhouette, are crescent-shaped. THE MACHINES AND HOW TO RECOGNISE THEM. No. 8. The 100 h.p. Handley Page Biplane is the same machine on which Mr. E. R. Whitehouse, and later Mr. W. R. Ding, have been doing such good flights. Some time ago, it will be remembered, Mr. Ding damaged the chassis of this machine on landing. The new chassis fitted is of a different type, consisting of two pairs of V struts, from which is slung the single tubular axle. A very effective silencer has been fitted to the 100 h.p. Anzani engine, so that the machine cannot be heard when flying at an altitude of a few hundred feet. CROSS-CHANNEL ON THE HANDLEY PAGE BIPLANE. 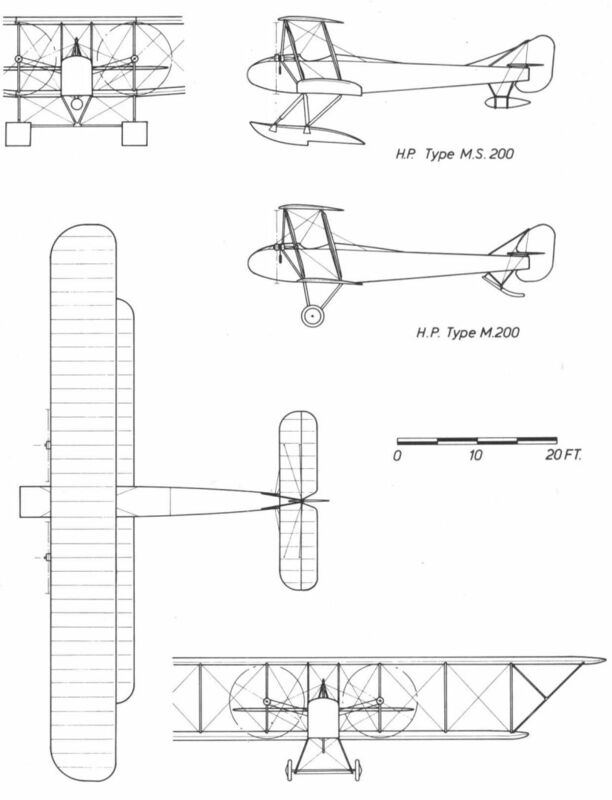 THE merits of the Handley Page biplane, with 100 h.p. Anzani motor, were strikingly brought out in the flight which was made on Thursday last by Mr. W. Rowland Ding, with Princess Ludwig of Lowenstein-Wertheim, from Hendon to Calais. He left Hendon Aerodrome at 7.40 a.m., and reached Eastbourne at 8.45 a.m. After waiting for the fog to clear in the Channel, he left Eastbourne at 3.30 p.m., and flying to Dover flew across the Channel in the record time of 15 mins., and landed at Calais at 4.20 p.m. There the Princess joined the train and went on to Paris. The next day Mr. Ding left Calais at 8 a.m. and flew across to Staplehurst, in Kent, after having a rather nasty moment in the channel, as for a few moments the engine hesitated and the machine began to glide down. However, the engine picked up all right and flew safely through to Staplehurst. Here he had breakfast and filled up the aeroplane's tanks with petrol. He arrived safely at Hendon at 11.30 am. It will be recalled that Mr. Ding only obtained his pilot's certificate on April 28th, and these were his first long cross-country flights. On Tuesday, Mr. Ding set off from Hendon for Bath about 5 a.m., but owing to his compass going wrong he found himself over Southampton Water. Turning to the north-west he got to Salisbury Plain, where he made a landing. Later he flew over to Bath in 22 mins. THE most terrifying experience I have had since I have been flying, and really the most marvellous that any aviator could well have, occurred to me when flying from Bath to Harrogate. Setting out from Bath very early one morning, about five o'clock, and intending to fly straight through to Harrogate without a stop, I found the conditions practically perfect, with the sky beautifully clear, and not a cloud to be seen. Before very many miles had been covered, however, in the distance I saw a little fleecy cloud just making its appearance. It looked quite thin and very innocent indeed, and I thought the best way would be to get over the top of the cloud and continue on my way by the aid of the compass. Having risen over the top of what appeared to be the little cloud, I found that it got larger and larger, the ground being quite hidden from sight; there was simply a beautiful level sea of fleecy white clouds underneath me. I felt quite happy, because the compass appeared to be doing its work, the machine was going well, and the engine running beautifully. Then the sea of white cloud began to rise gradually, when I naturally pulled up the nose of the aeroplane a little and climbed up what looked like the side of a big snowy mountain. After keeping on for some time, getting higher and higher, one of the plugs in the engine, probably owing to becoming fouled with oil, mis-fired. Thus having one cylinder cut off, the machine could not climb quite so rapidly, and as the surface of the cloud itself seemed suddenly to take a very steep ascent, this meant that I had either to come down below it or else continue on straight through the cloud. The extent of the latter being an unknown quantity, I thought the best thing would be to dive down until I was underneath it. Switching the engine off, I started diving down from a height of between 3,000 and 4,000 ft., the cloud getting thicker and thicker until I could not see even the aeroplane itself. In fact, I could only just distinguish the instruments in front of me, about 2 ft. from my face. Of course I was watching the height recorder very intently and very anxiously, because it was a great surprise to find that the cloud was so deep. I thought I should soon be underneath it and have a clear view of the ground from about 2,000 or 3,000 feet. I went on diving for a long time, until to my horror the height recorder registered nothing, which meant that I must be very near the ground. As I was unable to see anything at all, I thought the best thing to do would be to make the machine fly as slowly as ever it could. I knew sooner or later I should have to hit something, and so the best thing was to hit it very slowly instead of very fast. Fortunately the engine I have - the Anzani - throttles down beautifully, and I managed to slow it down till the aeroplane was only travelling at about 35 miles an hour, and with teeth set I continued at this pace until suddenly - we hit the ground. Under such conditions a perfect landing could hardly be expected, and it is something to record that there was very little damage done to the aeroplane itself - in fact it was flying again in two days' time. When the fog cleared, giving me an opportunity to take my bearings, I found that I had landed in a barley field, about a mile and a half outside Stroud in Gloucestershire, and the most wonderful part was, that it was the only field for many miles around on which a landing was possible. All round were thick forests and very high hills. I had motored to Stroud a good many times previously, and scoured the whole district round to look for a suitable ground on which to give exhibition flying, but there was never a one to be found, and ultimately I had to give it up as a hopeless job. However, from the above it will be seen that my Handley-Page biplane was more successful and found a ground of its own accord. I may congratulate myself, therefore, upon the very lucky ending to what might easily have been a much more serious, not to say tragic, affair. 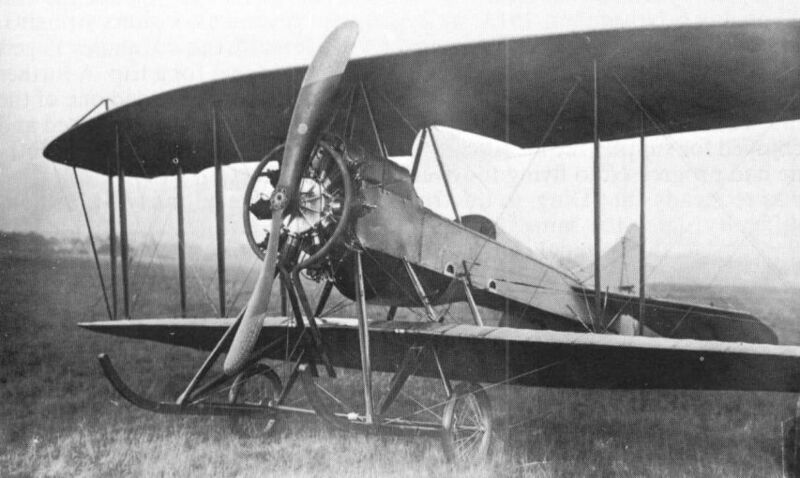 HP Type G (HP7) biplane of 1913 in original form with twin-skid undercarriage and single long cockpit. Handley Page G in ils early form with undercarriage skids and with single cockpit for tandem seats. 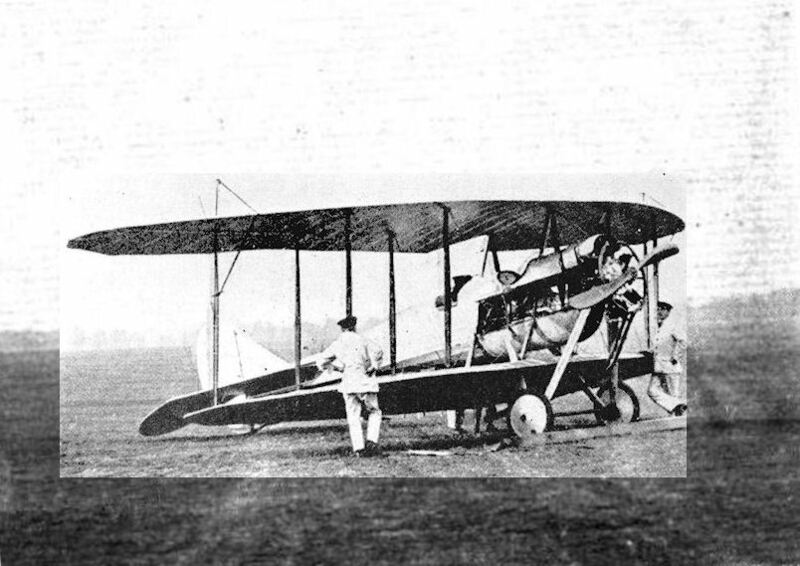 G/100 at Hendon in March 1914 with revised outer wing struts and Garuda airscrew. The new Handley Page biplane, as seen from the front. THE NEW HANDLEY PAGE BIPLANE. - A view from the back. THE NEW HANDLEY PAGE BIPLANE. - A three-quarter view from the back. 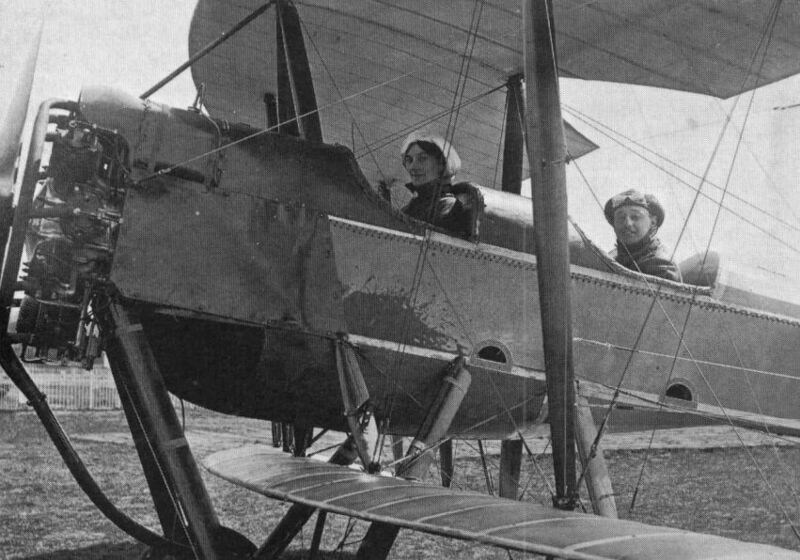 Mr. Rowland Ding in the Handley Page biplane, with Princess Ludwig of Lowenstein-Werthelm in front, just before their departure from Hendon to fly across the Channel, en route for Paris. 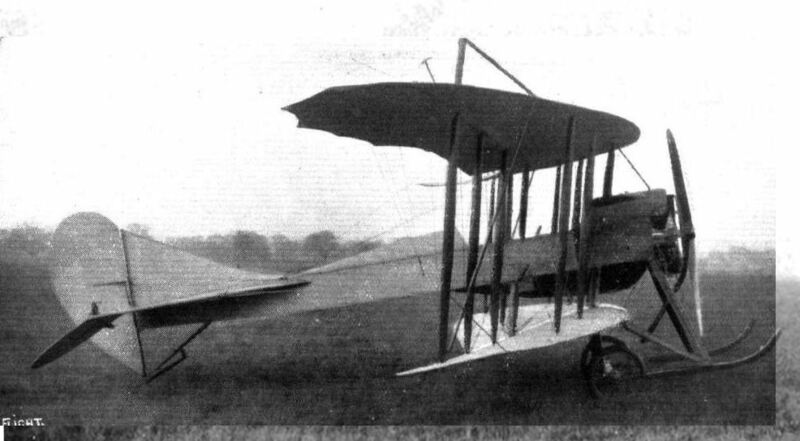 G/100 with brass-tipped Chauviere airscrew at Hendon in November 1913. Mr. W. Rowland Ding in the pilot's cockpit of the modified Handley Page G at Hendon. Princess Lowenstein-Wertheim and Rowland Ding in G/100 at Hendon in May 1914, showing silencer and simplified chassis. Crowd surrounding G/100 at the Stray, Harrogate, in July 1914. HP Type G (HP7) as No.892 in RNAS service in November 1914. HP Type G (HP7) with modified undercarriage and two cockpits. Handley Page G in 1914 with extended fairing under fuselage. QUALIFYING FOR ROYAL AIR SERVICE AT HENDON. - An Anzani-engined Handley-Page in waiting. The Handley-Page and Avro biplanes ready to take the air at Hendon. Mr. Whitehouse flying the Handley Page biplane, with the tail planes removed, at Hendon. Handley Page G demonstrating its stability by flying without a tailplane. A plan view, from beneath, of the Handley Page biplane with the tail planes removed. Mr. W. Rowland Ding, flying the Handley-Page biplane at Bath recently. The Handley-Page G Type biplane, first flown in 1913 and adopted by the RNAS in 1914 for training and home defence. Pilot: Mr. W. R. Ding. DIAGRAMMATIC SKETCH OF CONTROLS ON THE H.P. BIPLANE. - On the right, sketch showing method of attachment of aileron-wires to control cables. One of the strut sockets on the H.P. 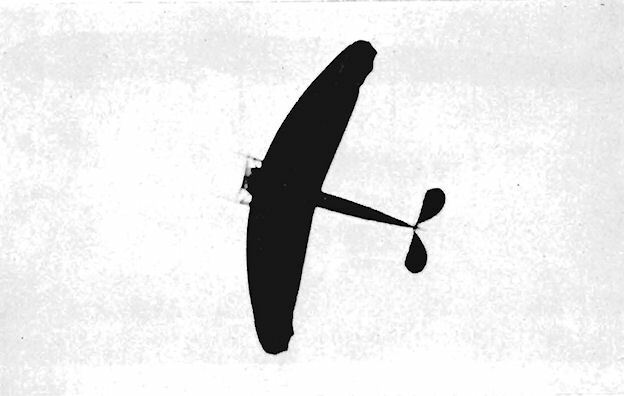 biplane showing pulley for aileron cable, and on the right a fuselage joint. 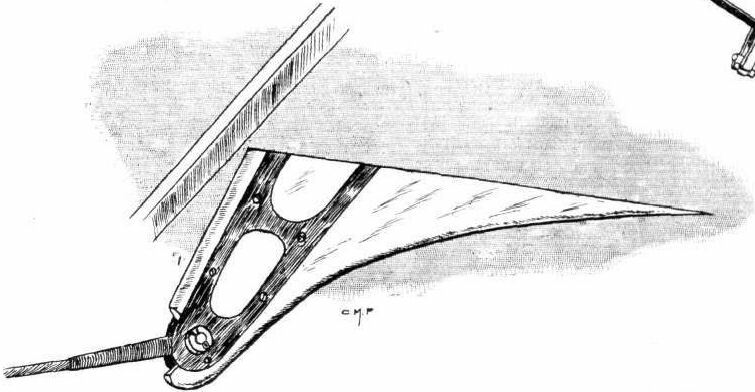 Sketch showing the neat steel clip by means of which a joint is formed for the tail fin, rudder post, tail plane and fuselage on the H.P. biplane. The tail skid of the H.P. biplane. One of the elevator crank levers on the H.P. biplane. Diagrammatic sketch of the fuselage, and on the right the tail planes on the H.P. biplane. THE NEW HANDLEY PAGE BIPLANE. - Plan, side and front elevation to scale.